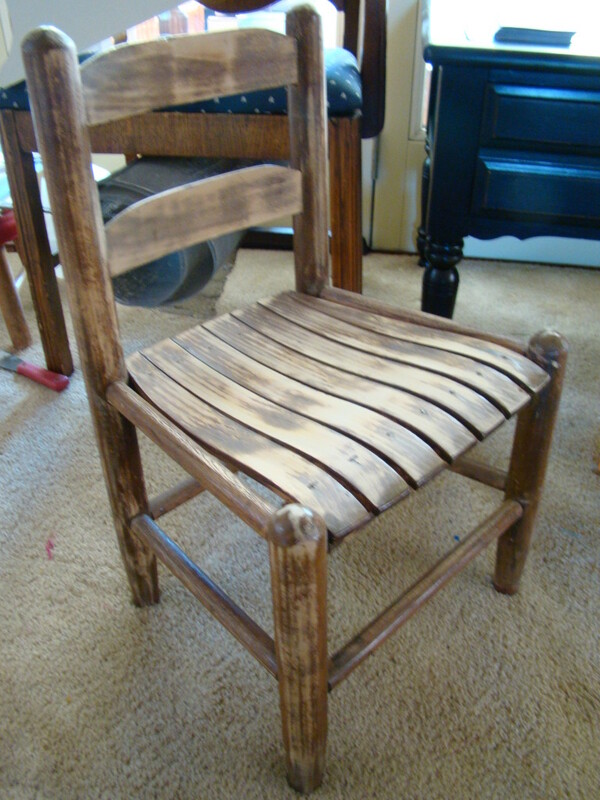 I found this single child-size chair at a garage sale for a few bucks. It was cute, but definitely needed some work. I debated about what I wanted to do with it, and I ultimately decided to simply paint it with fresh, white paint. So, I sanded it down a bit, wiped off the dust, primed it and painted it with 2 coats of white semi-gloss paint. 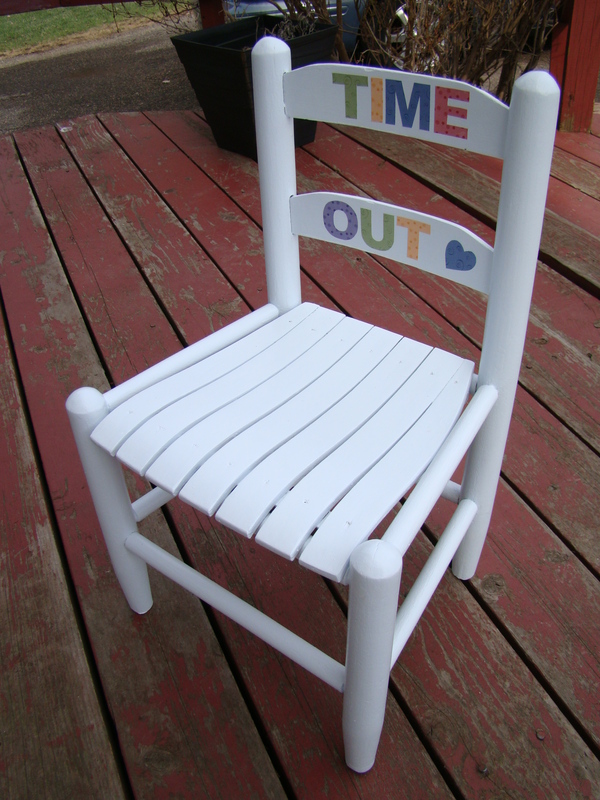 It still seemed like it needed a little more pizzazz, so I decided to turn it into a “Time Out” chair. Parents: you know what I’m talking about… 🙂 I simply printed out the letters of the phrase using the Arial font in my word processing program, then cut them out of scrapbook paper in various colors. Using Mod Podge, I adhered them to the back of the chair, then added a heart for good measure. I sealed the letters with another couple coats of Mod Podge, and voila! Cute, right? Even a single chair without a mate can be cute and useful. This one will brighten up any space. Hopefully, this one will find a good home…I will be bringing it to my shop this week to wait for a family of its own. What is Upcycled Home Decor?